Looking for energy? Some Mom Fuel? The last of the garden spinach. 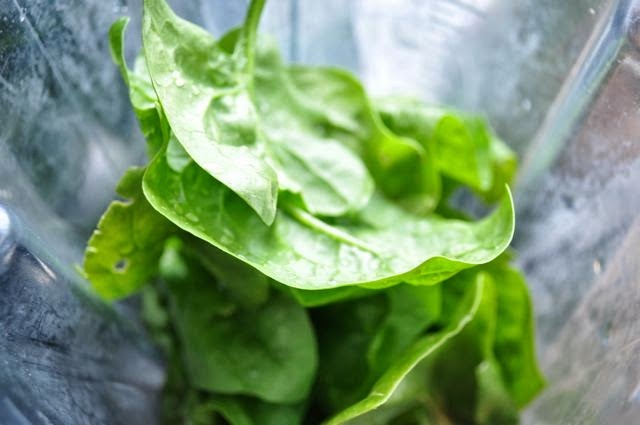 Frozen spinach is fine too, without any loss of nutrients. Homegrown or store bought Carrots, peeled. 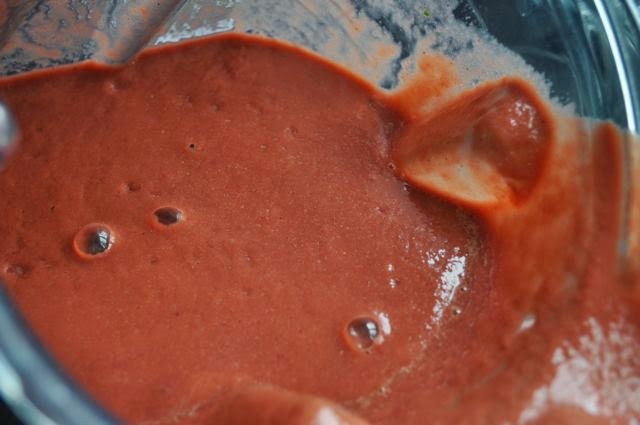 Add a Banana and an Avocado for that needed and essential fat. 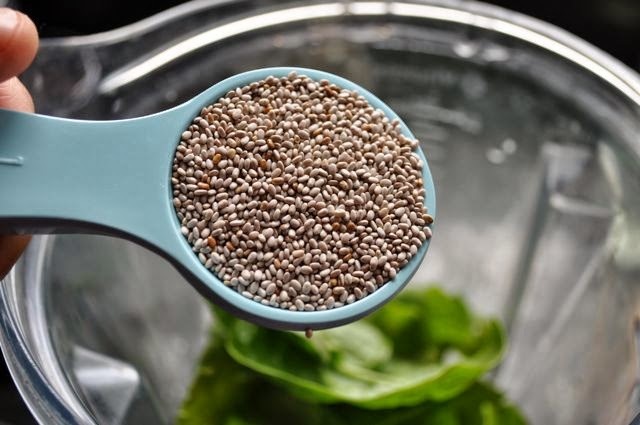 Avocado makes for a very smooth smoothie. 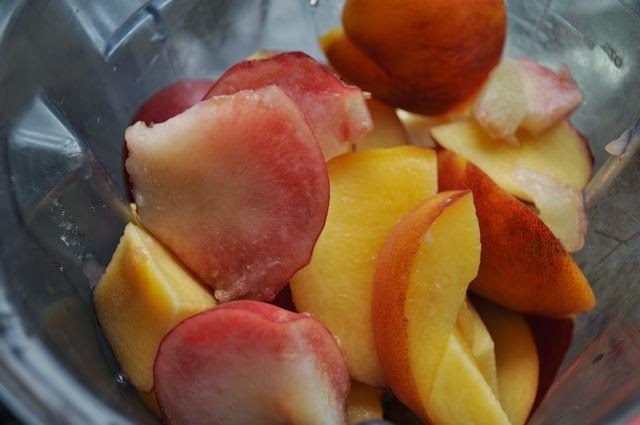 Peach and Nectarine – get it in before winter comes and they are hard to find. It’s apple season! 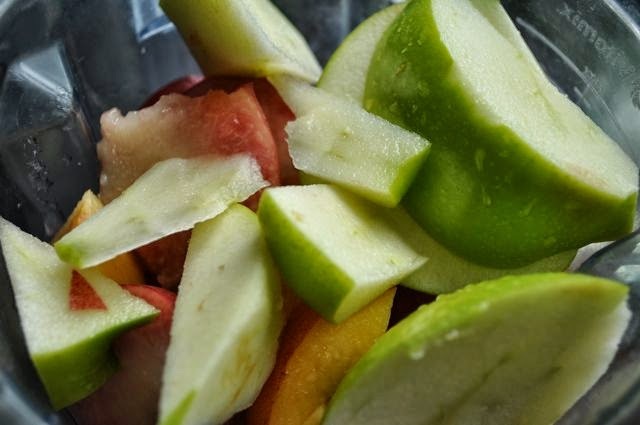 Honey Crisp and Granny Smith are my favorites for smoothies, but all apples make for exceptional flavor. 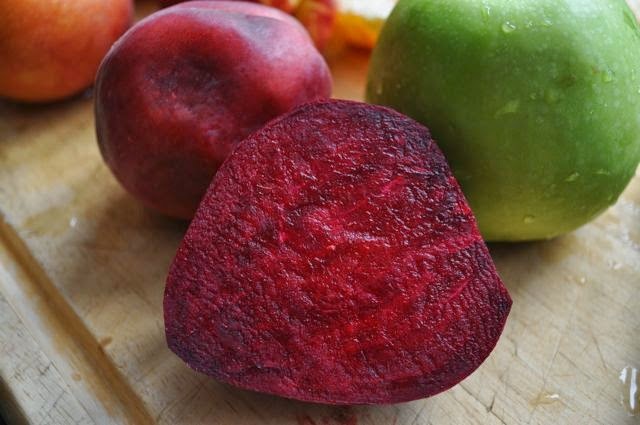 I don’t like the taste of beets by themselves, but I love the color. It helps my children drink it. Makes 6 servings, two for adults and four darling children. Happy Weekend! Fuel up and feel good. 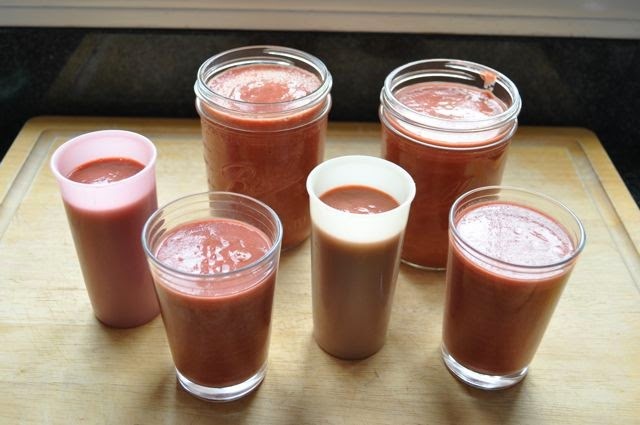 This entry was posted in health, runner food, Weekend Recipe, yum-yum on October 4, 2013 by maisymak. If those inviting pictures don’t entice people to eat healthy, I don’t know what will. Looks delicious! 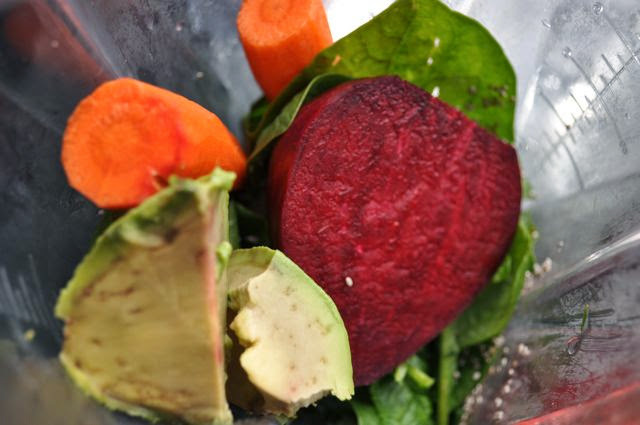 Amazing… you add the beets so your kids will drink the smoothie! Who knew beets would ever be the reason why a kid would eat anything.